On 22 and 23 March 2007, violent clashes in the capital Kinshasa between government troops and bodyguards of former vice-president Jean-Pierre Bemba killed hundreds of people including a high number of civilians. In the wake of the fighting, many families were left searching for loved ones. The ICRC swung into action to help both the civilian and military victims. To quickly meet the most urgent needs of Kinshasa hospitals receiving large numbers of injured people, the ICRC coordinated its response with the Ministry of Health, the WHO and Médecins Sans Frontières Belgium. After a survey of needs by a medical team, aid was dispatched rapidly to Kinshasa's General Hospital, Kitambo hospital, Camp Kokolo military hospital, Lufungula police hospital and the Maluku Health Centre. The aid consisted of enough disinfectants, perfusions, analgesics, antibiotics, vaccines, serums, catheters, bandages, injection and suture equipment, X-ray film and various medicines to treat 100 wound victims. An ICRC surgeon went to the above-mentioned hospitals to examine the victims and advise staff on their treatment. The Red Cross Society of the Democratic Republic of the Congo collected 37 bodies in different areas of Kinshasa and took them to the morgue at the General Hospital. The ICRC assisted the Congolese Red Cross in this operation, providing vehicles, body bags and gloves. It also supplied Kitambo hospital with 25 body bags. Some of the families of the Jean-Pierre Bemba's militiamen killed in the clashes live in Maluku and now found themselves without any means of support. The Congolese Red Cross distributed to them 100 kits, each containing blankets, cooking utensils, soap, a jerrycan, mats, a tarpaulin and clothing. The beneficiaries – 115 women and 148 children (including 123 under six) – also received enough food (maize flour, beans, vegetable oil, salt and sugar) to cover their needs for a month. This operation was carried out with ICRC support. In keeping with its mandate, the ICRC sought access to all persons arrested and detained in connection with the events. The persons seen by delegates were registered to ensure that they could be individually monitored during their time in detention. Those who wished to wrote Red Cross messages (short personal messages to relatives rendered unreachable by armed conflict). The ICRC reminded the authorities of their obligation to clear up what had happened to people reported missing after the clashes, stressing people's right to know the whereabouts of missing loved ones. The ICRC also gave advice on what should be done with unidentified bodies brought to the various morgues in Kinshasa, recommending that complete data should be gathered from each to make it easier to identify the remains and return them to the families. 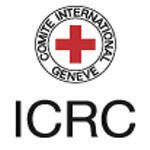 The Congolese Red Cross, the International Federation of Red Cross and Red Crescent Societies and the ICRC deplore the looting at Congolese Red Cross headquarters, which also houses the offices of the International Federation. The computer equipment and various other items were taken by unidentified men in uniform from the offices of the International Federation and of the Congolese Red Cross president on the night of 23 March. This was the second instance of pillage at Red Cross premises in eight months.